Robotics is fascinating technology that strives to replicate humans, birds, animals and other living things with the help of machines. 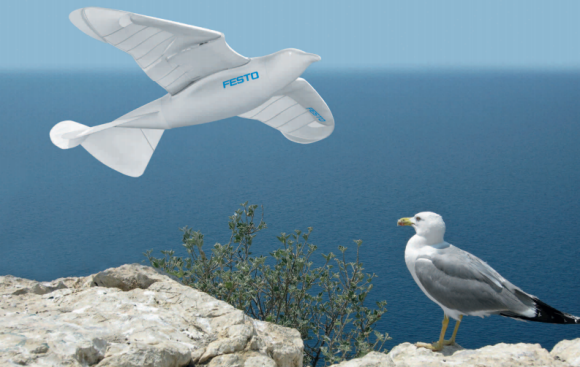 Festo, one of the well know robotics organization doing wonders, recently developed a robotic Seagull that flies with the agility and efficiency of a real Seagull. Festo has a excellent track record of developing mind blowing bots like flying penguins and jellyfish.